Creative Movement and Ballet Toddler Classes – Creative movement is a class tailored to our almost 2-almost 4 year old tiniest dancers. This class emphasizes the creative art of dance while providing an exciting new learning environment. These classes also include use of props and activities designed to introduce dance and movement to toddlers. Skills learned and carried beyond the dance classes include communication skills, memory development, and social involvement. Attire: pink ballet shoes, tap shoes, tights, leotard with skirt, hair back in a ponytail for girls. Shorts, sweats, tanks/t-shirts for the boys. Ballet – Technique is taught at the barre, across the floor and center floor combinations. Pre-Pointe will be covered. Ballet classes are required for all Jazz and Contemporary Company dancers. We have several different ballet levels. Attire: pink ballet shoes, tights with leotard, hair back in ponytail or bun. Dancers can wear boy shorts or ballet skirt. 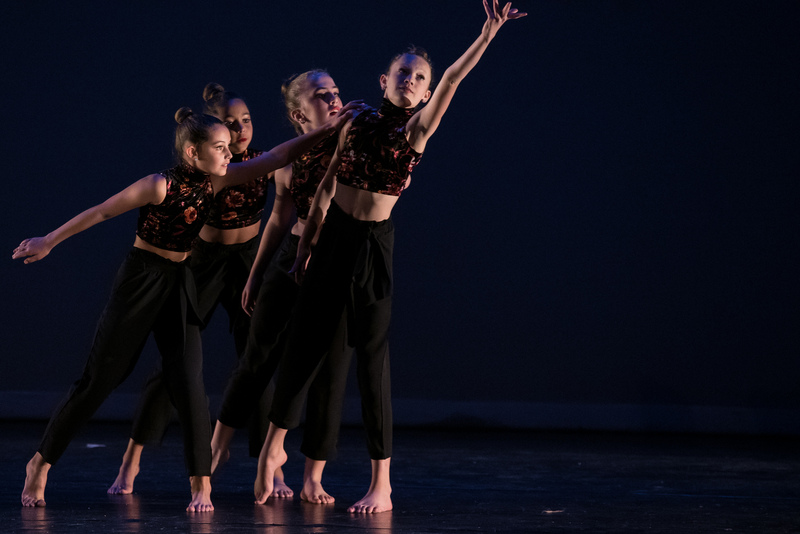 Contemporary – This style of expressive dance that combines elements of several dance genres including modern, jazz, lyrical and classical ballet. Contemporary dancers strive to connect the mind and the body through fluid dance movements. Contemporary dance stresses versatility and improvisation, unlike the strict, structured nature of ballet. Contemporary dancers focus on floorwork, using gravity to pull them down to the floor.This dance genre is often done in bare feet. Contemporary dance can be performed to many different styles of music. Modern– The world of modern dance is the most creative structured form of dance. It is the association of the words “creative” and “structured form” which created the major reason why dancers are confounded in trying to exact a “definition” of Modern Dance. Modern Dance does combine elements of Ballet, Jazz and free dance. Attire: bare feet or dance paws, dance pants/leggings/boy shorts, leotard. 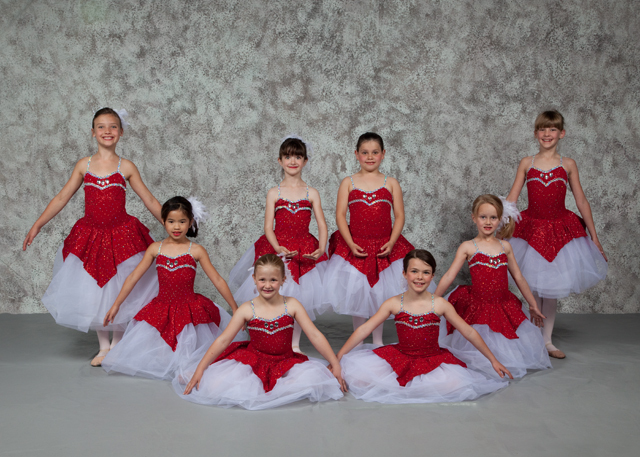 Lyrical -Lyrical is a style of dance that uses the emotion and mood of the music to elicit movements from the dancers. Students have a warm up focusing in core strength, flexibility, and movement of the back. The class includes floor work, progressions, and center combinations. Attire: Tan Jazz shoes or dance paws, tights, boy short, leotard. Hair secured away from face. Leaps/Turns/Jazz Tech, Jazz Progressions and Tricks/Turns/Tumbling – These classes are technique classes that are dedicated to learning, improving, and perfecting technique in jumps, kicks, turns, basic tumbling, etc. Stretch and strengthening is also combined to improve dancers’ power. Attire: Jazz Shoes, Tights, Leggings or Boy Shorts, leotards. Music Theatre – Musical Theater combines jazz technique with other varieties to create a “Broadway” style of dance. This class will follow a tap warm up and will have progressions and center floor work and combinations that combine acting with tap dance. Attire: Black shoes, dance clothes.